CLOZARIL® (clozapine) is indicated for the management of severely ill schizophrenic patients who fail to respond adequately to standard drug treatment for schizophrenia. Because of the significant risk of agranulocytosis and seizure associated with its use, CLOZARIL should be used only in patients who have failed to respond adequately to treatment with appropriate courses of standard drug treatments for schizophrenia, either because of insufficient effectiveness or the inability to achieve an effective dose due to intolerable adverse effects from those drugs. Initial Treatment: It is recommended that treatment with CLOZARIL begin with one-half of a 25-mg tablet (12.5 mg) once or twice daily and then be continued with daily dosage increments of 25-50 mg/day, if well tolerated, to achieve a target dose of 300-450 mg/day by the end of 2 weeks. Subsequent dosage increments should be made no more than once or twice weekly, in increments not to exceed 100 mg. Cautious titration and a divided dosage schedule are necessary to minimize the risks of hypotension, seizure, and sedation. In the multicenter study that provides primary support for the effectiveness of CLOZARIL in patients resistant to standard drug treatment for schizophrenia, patients were titrated during the first 2 weeks up to a maximum dose of 500 mg/day, on a t.i.d. basis, and were then dosed in a total daily dose range of 100-900 mg/day, on a t.i.d. 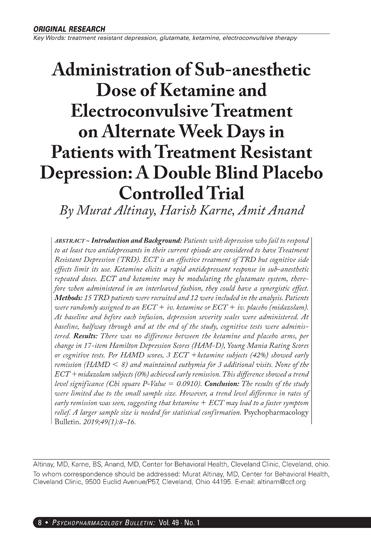 basis thereafter, with clinical response and adverse effects as guides to correct dosing. 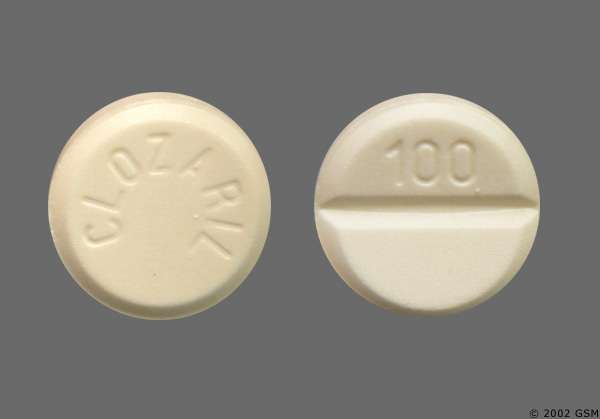 CLOZARIL® (clozapine) is contraindicated in patients with a previous hypersensitivity to clozapine or any other component of this drug, in patients with myeloproliferative disorders, uncontrolled epilepsy, paralytic ileus, or a history of CLOZARIL-induced agranulocytosis or severe granulocytopenia. As with more typical antipsychotic drugs, CLOZARIL is contraindicated in severe central nervous system depression or comatose states from any cause. CLOZARIL should not be used simultaneously with other agents having a well-known potential to cause agranulocytosis or otherwise suppress bone marrow function. The mechanism of CLOZARIL-induced agranulocytosis is unknown; nonetheless, it is possible that causative factors may interact synergistically to increase the risk and/or severity of bone marrow suppression. General: Increased mortality in elderly patients with dementia-related psychosis elderly patients with dementia-related psychosis treated with antipsychotic drugs are at an increased risk of death. Clozaril® (Clozapine) is not approved for the treatment of patients with dementia-related psychosis (see boxed warning). 1)Ffor treatment of severely ill schizophrenic patients who fail to show an acceptable response to adequate courses of standard drug treatment for schizophrenia, either because of insufficient effectiveness or the inability to achieve an effective dose due to intolerable adverse effects from those drugs. consequently, before initiating treatment with Clozaril® (Clozapine); it is strongly recommended that a patient be given at least 2 trials, each with a different standard drug product for schizophrenia, at an adequate dose, and for an adequate duration. 2) For reducing the risk for recurrent suicidal behavior in patients with schizophrenia or schizoaffective disorder who are judged to be at risk of reexperiencing suicidal behavior. Clozaril® (Clozapine) is available only through a distribution system that ensures monitoring of white blood cell (WBC) count and absolute neutrophil count (ANC) according to the schedule described below prior to delivery of the next supply of medication. Eosinophilia: In clinical trials, 1% of patients developed eosinophilia, which, in rare cases, can be substantial. If a differential count reveals a total eosinophil count above 4000/mm3 , CLOZARIL therapy should be interrupted until the eosinophil count falls below 3000/mm3 . Seizures: Seizure has been estimated to occur in association with CLOZARIL use at a cumulative incidence at one year of approximately 5%, based on the occurrence of one or more seizures in 61 of 1,743 patients exposed to CLOZARIL during its clinical testing prior to domestic marketing (i.e., a crude rate of 3.5%). Dose appears to be an important predictor of seizure, with a greater likelihood of seizure at the higher CLOZARIL doses used. Caution should be used in administering CLOZARIL to patients having a history of seizures or other predisposing factors. Because of the substantial risk of seizure associated with CLOZARIL use, patients should be advised not to engage in any activity where sudden loss of consciousness could cause serious risk to themselves or others, e.g., the operation of complex machinery, driving an automobile, swimming, climbing, etc. Other Adverse Cardiovascular and Respiratory Effects: Orthostatic hypotension with or without syncope can occur with CLOZARIL treatment and may represent a continuing risk in some patients. Rarely (approximately 1 case per 3,000 patients), collapse can be profound and be accompanied by respiratory and/or cardiac arrest. Orthostatic hypotension is more likely to occur during initial titration in association with rapid dose escalation and may even occur on first dose. In one report, initial doses as low as 12.5 mg were associated with collapse and respiratory arrest. When restarting patients who have had even a brief interval off CLOZARIL, i.e., 2 days or more since the last dose, it is recommended that treatment be reinitiated with one-half of a 25-mg tablet (12.5 mg) once or twice daily. General: Because of the significant risk of agranulocytosis and seizure, both of which present a continuing risk over time, the extended treatment of patients failing to show an acceptable level of clinical response should ordinarily be avoided. In addition, the need for continuing treatment in patients exhibiting beneficial clinical responses should be periodically reevaluated. Although it is not known whether the risk would be increased, it is prudent either to avoid CLOZARIL® (clozapine) or use it cautiously in patients with a previous history of agranulocytosis induced by other drugs. Cardiomyopathy: Cases of cardiomyopathy have been reported in patients treated with clozapine. 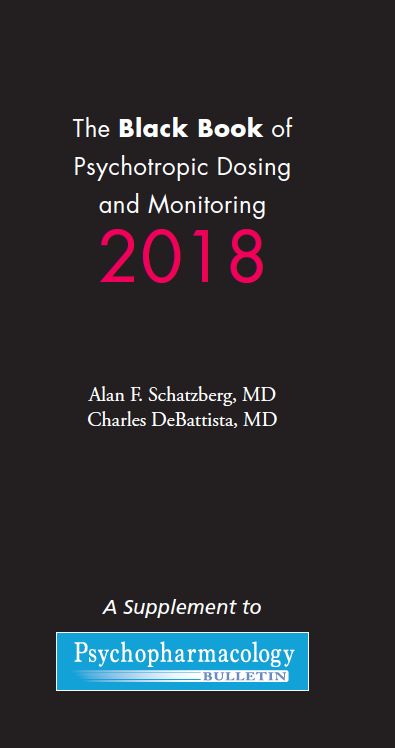 The reporting rate for cardiomyopathy in clozapine-treated patients in the U.S. (8.9 per 100,000 person-years) was similar to an estimate of the cardiomyopathy incidence in the U.S. general population derived from the 1999 National Hospital Discharge Survey data (9.7 per 100,000 person-years). Approximately 80% of clozapine-treated patients in whom cardiomyopathy was reported were less than 50 years of age; the duration of treatment with clozapine prior to cardiomyopathy diagnosis varied, but was >6 months in 65% of the reports. Dilated cardiomyopathy was most frequently reported, although a large percentage of reports did not specify the type of cardiomyopathy. Signs and symptoms suggestive of cardiomyopathy, particularly exertional dyspnea, fatigue, orthopnea, paroxysmal nocturnal dyspnea, and peripheral edema should alert the clinician to perform further investigations. If the diagnosis of cardiomyopathy is confirmed, the prescriber should discontinue clozapine unless the benefit to the patient clearly outweighs the risk. Pulmonary Embolism: The possibility of pulmonary embolism should be considered in patients receiving CLOZARIL who present with deep vein thrombosis, acute dyspnea, chest pain or with other respiratory signs and symptoms. As of December 31, 1993 there were 18 cases of fatal pulmonary embolism in association with CLOZARIL therapy in users 10-54 years of age. Based upon the extent of use observed in the Clozaril® National Registry, the mortality rate associated with pulmonary embolus was 1 death per 3,450 person-years of use. This rate was about 27.5 times higher than that in the general population of a similar age and gender (95% Confidence Interval; 17.1, 42.2). Deep vein thrombosis has also been observed in association with CLOZARIL therapy. Whether pulmonary embolus can be attributed to CLOZARIL or some characteristic(s) of its users is not clear, but the occurrence of deep vein thrombosis or respiratory symptomatology should suggest its presence. Hepatitis: Caution is advised in patients using CLOZARIL who have concurrent hepatic disease. Hepatitis has been reported in both patients with normal and preexisting liver function abnormalities. In patients who develop nausea, vomiting, and/or anorexia during CLOZARIL treatment, liver function tests should be performed immediately. If the elevation of these values is clinically relevant or if symptoms of jaundice occur, treatment with CLOZARIL should be discontinued. 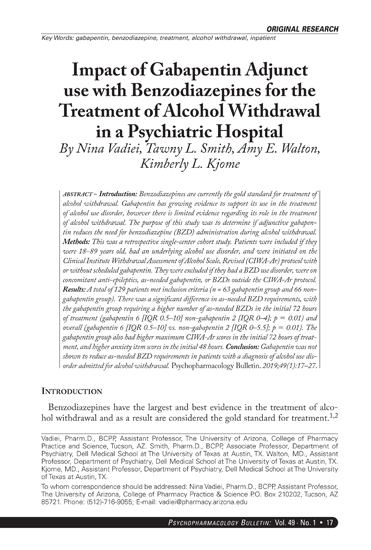 Associated with Discontinuation of Treatment: Sixteen percent of 1,080 patients who received CLOZARIL® (clozapine) in premarketing clinical trials discontinued treatment due to an adverse event, including both those that could be reasonably attributed to CLOZARIL treatment and those that might more appropriately be considered intercurrent illness. The more common events considered to be causes of discontinuation included: CNS, primarily drowsiness/sedation, seizures, dizziness/syncope; cardiovascular, primarily tachycardia, hypotension and ECG changes; gastrointestinal, primarily nausea/vomiting; hematologic, primarily leukopenia/ granulocytopenia/ agranulocytosis; and fever. None of the events enumerated accounts for more than 1.7% of all discontinuations attributed to adverse clinical events. Dystonia: Class Effect: Symptoms of dystonia, prolonged abnormal contractions of muscle groups, may occur in susceptible individuals during the first few days of treatment. Dystonic symptoms include: spasm of the neck muscles, sometimes progressing to tightness of the throat, swallowing difficulty, difficulty breathing, and/or protrusion of the tongue. While these symptoms can occur at low doses, they occur more frequently and with greater severity with high potency and at higher doses of first generation antipsychotic drugs. An elevated risk of acute dystonia is observed in males and younger age groups. Clozapine, an atypical antipsychotic, is associated with a low incidence of dystonia (see WARNINGS, Tardive Dyskinesia). Commonly Observed: Adverse events observed in association with the use of CLOZARIL in clinical trials at an incidence of greater than 5% were: central nervous system complaints, including drowsiness/sedation, dizziness/vertigo, headache and tremor; autonomic nervous system complaints, including salivation, sweating, dry mouth and visual disturbances; cardiovascular findings, including tachycardia, hypotension and syncope; and gastrointestinal complaints, including constipation and nausea; and fever. Complaints of drowsiness/sedation tend to subside with continued therapy or dose reduction. Salivation may be profuse, especially during sleep, but may be diminished with dose reduction. Other Events Observed During the Premarketing Evaluation of CLOZARIL® (clozapine): This section reports additional, less frequent adverse events which occurred among the patients taking CLOZARIL in clinical trials. 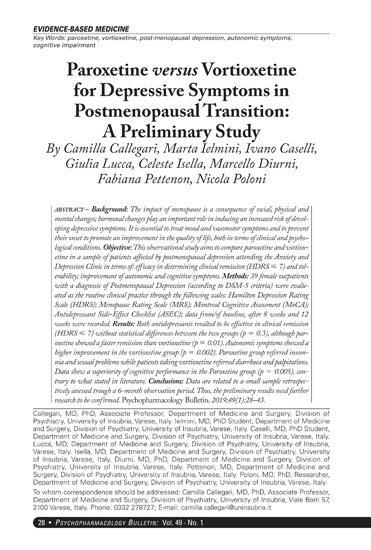 Various adverse events were reported as part of the total experience in these clinical studies; a causal relationship to CLOZARIL treatment cannot be determined in the absence of appropriate controls in some of the studies. The table above enumerates adverse events that occurred at a frequency of at least 1% of patients treated with CLOZARIL. The list below includes all additional adverse experiences reported as being temporally associated with the use of the drug which occurred at a frequency less than 1%, enumerated by organ system.